As of February 14 2018, contributors to Promoting Enduring Peace flagship magazine PeaceNews.org include Medea Benjamin, Amy Goodman, Joseph Daher, Arik Ascherman, George Gantz, Joseph Gerson, Jeff Halper, Conn Hallinan, Kathy Kelly, Ralph Nader, Stanley Heller, Andy Piascik, Melinda Tuhus, and Mazin Qumsiyeh. In 2014, Conn Hallinan, was listed a a friend on the DuBois Clubs Facebook page. Circa 1969, Conn Hallinan, President, American Federation of Teachers Local 1570, Berkeley , was listed as a sponsor of the Socialist Workers Party led GI Civil Liberties Defense Committee . In 1986, Conn Hallinan was a board member of the U.S. Peace Council. In 1991 Ringo Hallinan, Northern California, was one of several hundred Communist Party USA members to sign the a paper "An initiative to Unite and Renew the Party"-most signatories left the Party after the December 1991 conference to found Committees of Correspondence. In 1992 Conn Hallinan endorsed the Committees of Correspondence national conference Conference on Perspectives for Democracy and Socialism in the 90s held at Berkeley California July 17-19. The Conference on Perspectives for Democracy and Socialism in the 90s was the Committees of Correspondence's first national conference held in Berkeley, California July 17-19, 1992. New World Order Confronting the "New World Order". The multinational corporation, inter-imperialist rivalry, anti-imperialism and the struggle for peace, disarmament and non-intervention. The 1993 News for a People's World editor's committee board consisted of Alice Sunshine (editor), Marcy Rein (managing editor), committee members Pele deLappe, Conn Hallinan, Tahan Jones, Eric Mar, Hannah Miller, Jonathan Nack, Marty Price, David Raymond , Barry Sheppard and John Trinkl. 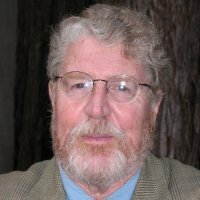 In 2008 Conn Hallinan of Foreign Policy in Focus, Berkeley, CA signed an online petition “A Open Letter to Barack Obama on Iran”. This page was last modified on 14 February 2018, at 08:18.